According to numerous accounts, guests are noticing that their Airbnb hosts are secretly recording them. But, I mean, what’s the worse that can happen? On Friday, Sky News published a tale recounting the holiday of one family that discovered their Airbnb host was not only recording them in secret — but livestreaming it to boot. According to Airbnb, it “found no wrong-doing on part” and wouldn’t be removing his listing. It wasn’t until the family took their voyeuristic story to social media that they were offered a refund. Which teaches you three things. a) read the fine print, b) or not and just complain on social media and c) kink comes in many shapes and many forms. According to Airbnb’s website, 2.9 million hosts use the platform to supplement — and sometimes altogether replace — their work incomes. You could probably speculate that with great profit comes a great responsibility to not risk said profit. 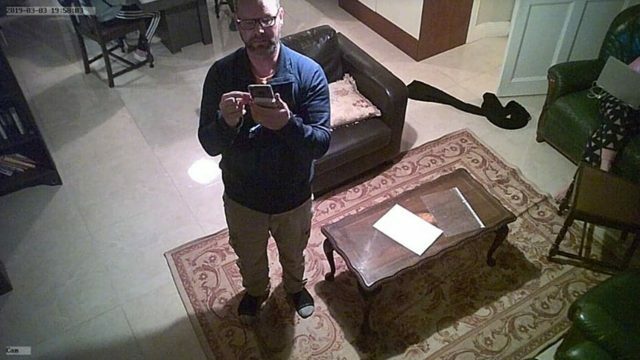 One of the guests, Max Vest, discovered two undisclosed cameras recording him at a Miami Airbnb. His first thought was to leg it, but then paranoia quickly took over, theorising what the host might do if he knew Vest had discovered his cameras. “I know what had stake by being caught,” Vest told The Atlantic. Which is a bit extreme. I mean, he wasn’t going to kill Mr Vest, surely. Maybe a slight amount of psychological trauma, which is par for the course in the Airbnb realm, especially when you have to force casual conversation with the host when you thought you were booking a house, not a room, and especially when you hear a mysterious figure come through the front door at 2 am, only to shuffle past your room after pausing at it, only to start squeaking a mattress further down the hall.